What It's About (via Goodreads): Max Starling's theatrical father likes to say that at twelve a boy is independent. He also likes to boast (about his acting skills, his wife's acting skills, a fortune only his family knows is metaphorical), but more than anything he likes to have adventures. 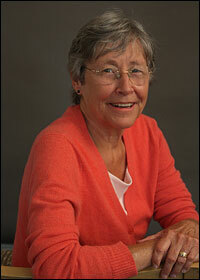 Max Starling's equally theatrical mother is not a boaster but she enjoys a good adventure as much as her husband. When these two disappear, what can sort-of-theatrical Max and his not-at-all theatrical grandmother do? They have to wait to find out something, anything, and to worry, and, in Max's case, to figure out how to earn a living at the same time as he maintains his independence. Opening Lines: "William Starling carried the packet back into the dining room, where his wife and son were seated. In those days, most families did their most ambitious cooking for the midday dinner, but the Starlings were theatrical, and you cannot give a good Sunday matinee on a full stomach." What I Liked: Well, first of all, I am a theatre buff--so anything about acting is going to whet my whistle. I'm also a fan of a good mystery, and this book--the first of a planned trilogy by Cynthia Voigt--has mysteries in spades. The first mystery is why Max's parents have disappeared, and where they have gone to. Max, fortunately, has a great "Grammie" who is nothing if not resourceful and calm. Plus she's a librarian! (I love her already.) She allows Max to live in his home (right next to hers, but still...) while they try to figure things out. Max shows great resourcefulness in becoming a "Solutioneer," and earns his keep my solving such things as finding missing dogs and missing spoons, which lead to the reuniting of a pair of lovers who have been the victims of a huge and painful misunderstanding. And I loved Max's stretching himself. Unlike his parents, he is not an actor, but on his own he becomes a master of disguise, using characters from the plays his parents put on at their theater. ("Max, in the costume of one of the unsuccessful suitors from Adorable Arabella, was not surprised by the bad manners of the old woman..." and "Max, in the suit his father had worn to play Banker Hermann in the Wordly Way and with a smaller pillow than the one he'd worn for Inspector D0ddle..."
I have a suspicion that this would be a good classroom read aloud for grades 5 and above--because of all the characters and the shenanigans. 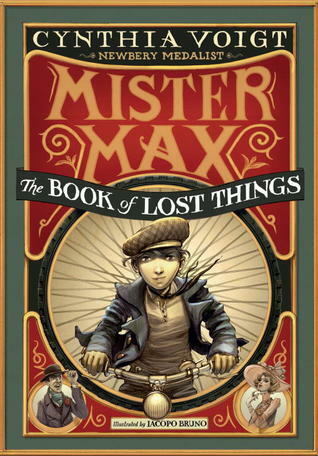 I'm looking forward to Book 2: Mister Max: The Book of Secrets, coming in 2014. I have to admit that I love middle grade novels that have diverse characters. 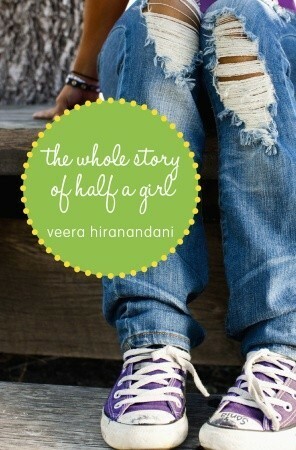 In this one, the MC is half-Indian and half-Jewish--and she feels she fits into neither world! What it's About (from the jacket copy): After her father loses his job, Sonia Nadhamuni, half Indian and half Jewish American, finds herself yanked out of private school and thrown into the unfamiliar world of public education. For the first time, Sonia's mixed heritage makes her classmates ask questions—questions Sonia doesn't always know how to answer—as she navigates between a group of popular girls who want her to try out for the cheerleading squad and other students who aren't part of the "in" crowd. Opening Lines: "I'm in school, sitting with my hair hanging long down the back of my chair, my arm around my best friend, Sam. We're planning our next sleepover. Sam's parents have the tent and sleeping bags; her mom even bought us cool spy pen-flashlights just for the occasion. To top it off, it's Friday and summer's only two weeks away." What I Liked: As you can see from the opening lines above, Sonia starts the novel feeling happy. However, within the space of a page-and-a-half, Sonia goes from thinking "life's pretty good," to hearing the news that her dad's lost his job, and that her future is about to change. Next September, she is to leave her beloved school, called "Community." and enroll in a public school. Veera Hiranandani does a great job making Sonia's emotions believable. She does an equally great job at mapping out changing friendships. Sonia and Sam are never going to be as close again; in fact, Sonia is thrust into a new set of friendships which are very confusing. I liked the fact that the cliquish girls were not too stereotypically unlikable. Kate, a cheerleading type, takes an interest in Sonia, and Sonia ends up becoming a cheerleader (much to her mom's amazement and chagrin.) Sonia's friendship with Kate is always tenuous--beset by highs as well as embarrassments. There are also interesting explorations about subtle and not-so-subtle racism, about mental illness (Sonia's dad disappears because he is suffering from a major depression), and about what it means to be biracial and wondering where you really belong. The ending is nicely understated. Sonia's father is in treatment, and the family goes to visit him. There, Sonia and her father have a conversation. Sonia says "Sometimes it feels like I'm the only one like me." "We all feel like that, for one reason or another. But I'll tell you one thing." "There is only one Sonia. And the rarer the thing, the more special it is." Still Time to Make Those Cybils Nominations!! The week got away from me, and I didn't have time for a Marvelous Middle Grade Monday posting! However, I would like to take this opportunity to toot the Cybils trumpet (yes, I am a second round judge and want to read some stellar stuff) and have you go and look at the list of nominees so far--and perhaps nominate one/some of your own. So many Middle Grade Masters visit this blog: please share some of your knowledge and taste with the Cybils. Nominations close on October 15th. The eligibility requirements are as follows (from the Cybils FAQ page): Any English or bilingual books published in the U.S. or Canada between the end of one contest and start of another. For 2013, that means books released between Oct. 16, 2012 and Oct. 15, 2013. Have a wonderful reading--and nominating--week! The Don: Michele, youse know what I think? This Walter White guy--we gotta bring more teachers into the famiglia. My nephew, Lorenzo: he could do with some tutoring. Me: Um, this is a TV show, boss. The Don: Hey, but there's no smoke without fire. Speaking of which, Lorenzo came to me talking about some crazy quiz you did. And he's says youse the smoke that's gotta get fired. The Don: He got only one question right. Now what kinda quiz is that? And he tells me there's a whole bunch of dames who done good. And youse gonna pay 'em. Tell me my ears are deceivin' me. The Don: --He's a clever boy. The Don: These brainy dames? Me: Yes, they do all happen to be women. The Don: (Sighing) What are they doin'? Reading all the hours God gave 'em? Perhaps I should put them in charge of this blog thing of yours? Me: Well, they'd probably do a better job. The Don: Hey, I'm just jokin' with ya, Michele. You're doin' okay. But next time, you talk with me first, capice? We gotta get Lorenzo in the winner's circle. Otherwise, my sister gonna kill me. He's her favorite son. The Don: So who are these clever dames then? We should pay them a visit. Me: (thinking I better look up the number for the witness protection program) There were two of them who got 100 per cent. The Don: An A++. Brava complimenti. Their names? The Don: You mean 25 grand? Me: Uh no. Not unless you increase the blog budget. The Don: They did all that work for $25 measly bucks? No wonder Lorenzo's not going places. Me: Well, Nikki's going to get an extra $5 because she referred someone to the quiz. The Don: Now you're talking! A pyramid scheme. So much cleaner than being a chemistry teacher in a meth lab. Che pazzo! Hey, this Nikki. She Italian? I left him making plans to get Joanne and Nikki involved in something nefarious. In the meantime, J & N, I'll be contacting both of you soon--please change your names and rent a post office box. Look for a plain brown envelope. Take it, and run! Everyone: thanks for taking the time to do the quiz. You all rock. (Special honorable mention to Akoss, who got 95%.) I've got warm and fuzzy feelings thinking about all the Middle Grade Masters out there.